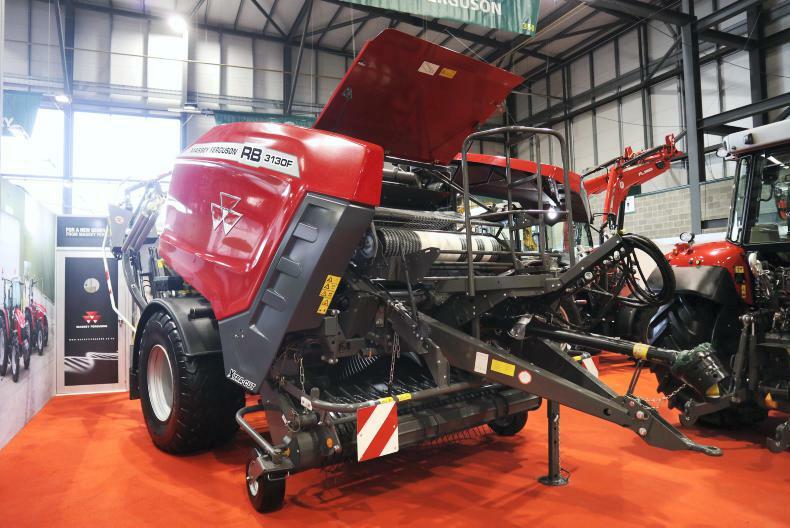 Machinery reporter Gary Abbott takes a look at the the range of baler-wrapper combinations on display at this year's FTMTA Farm Machinery Show. 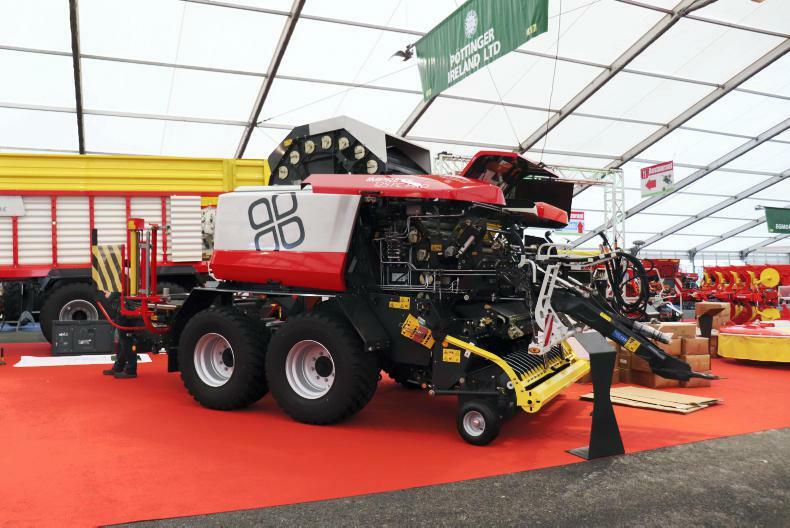 Pöttinger’s Impress combination baler is at the heart of the stand, located in pavilion four. 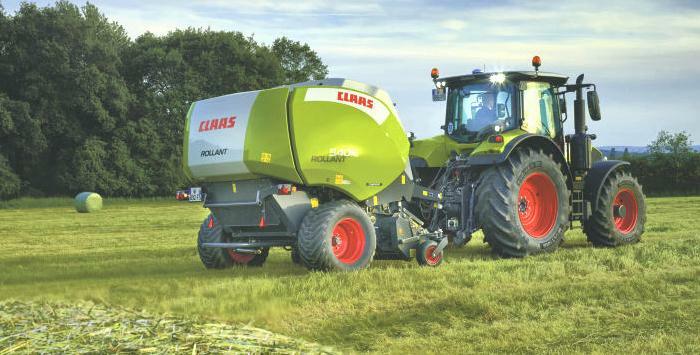 Starting with crop intake, the baler is fitted with the “Flexcut 32” retractable short-chop chopping unit, consisting of 32 double-sided blades. 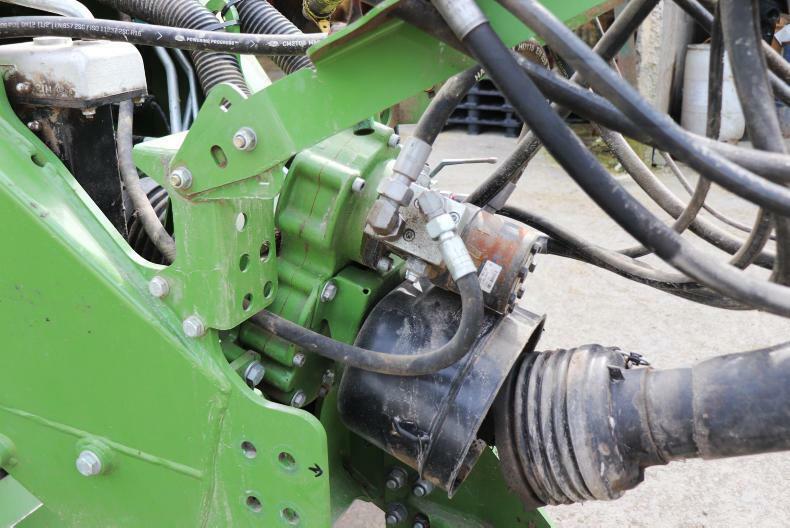 Pöttinger’s "liftup" rotor spiral configuration allows forage to enter the chamber at an angle, claiming to improve intake capacity of the baler. Inclusion of the "Easy Move" retractable knife bank ensures ease of maintenance of the chopping unit from the operator’s point of view. On the wrapping side of things, the new compact wrapping unit sees fully automatic wrapping capabilities, working at 36rpm. 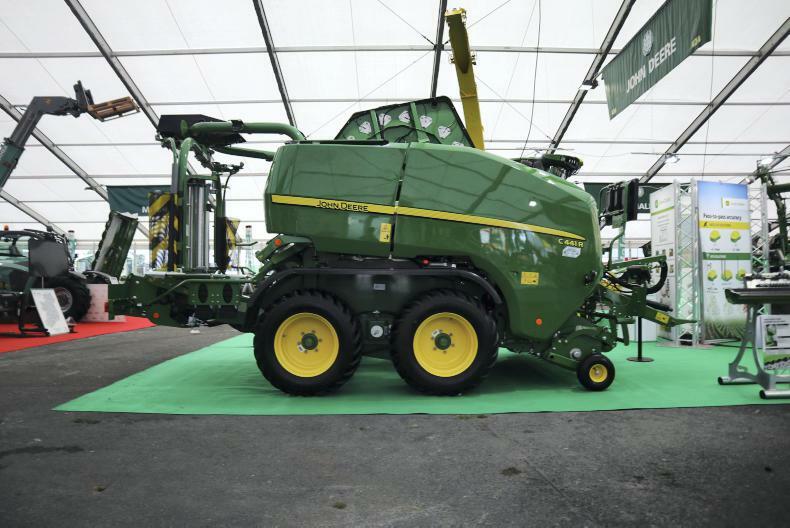 John Deere has its latest integrated baler wrapper unit, the C441R, on show. A new feature to the machine is its heavy-duty drive system rated at up to 210hp with 1,000rpm PTO. 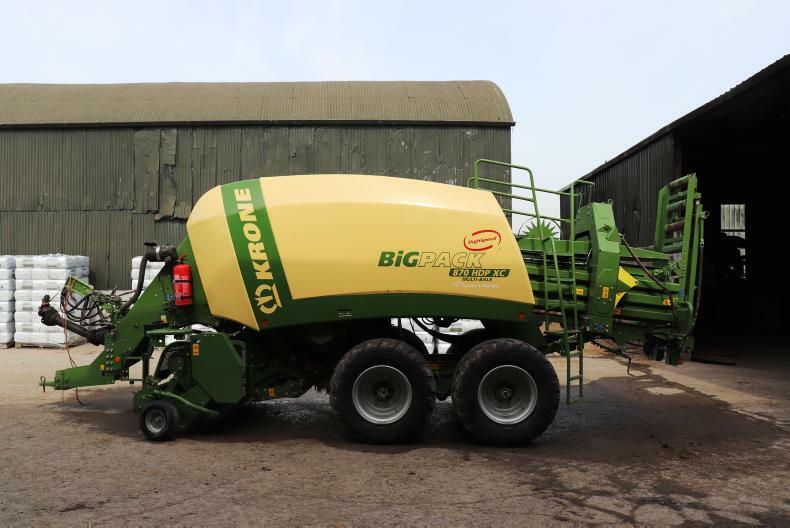 It is equipped with a new 18-roller bale chamber with increased width, from 117cm to 121cm. 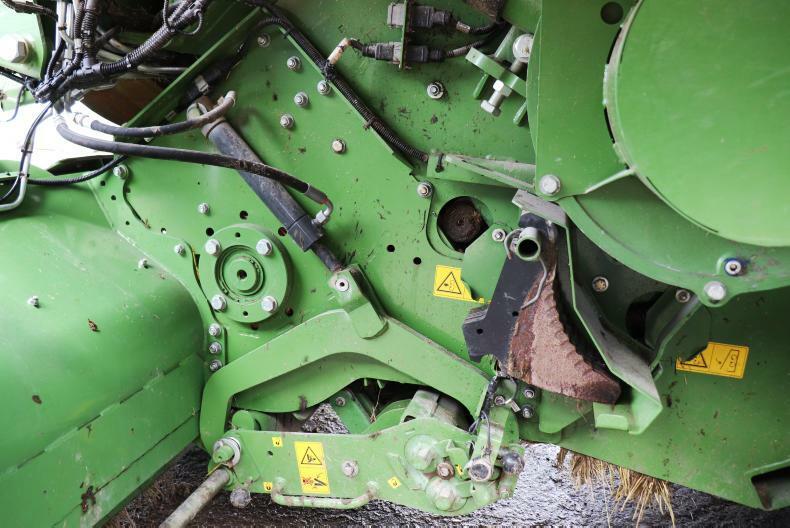 The machine comes with a choice of a 2m or an optional 2.2m pickup reel, feeding the MaxiCut HC rotor with either 13 or 25 knives. 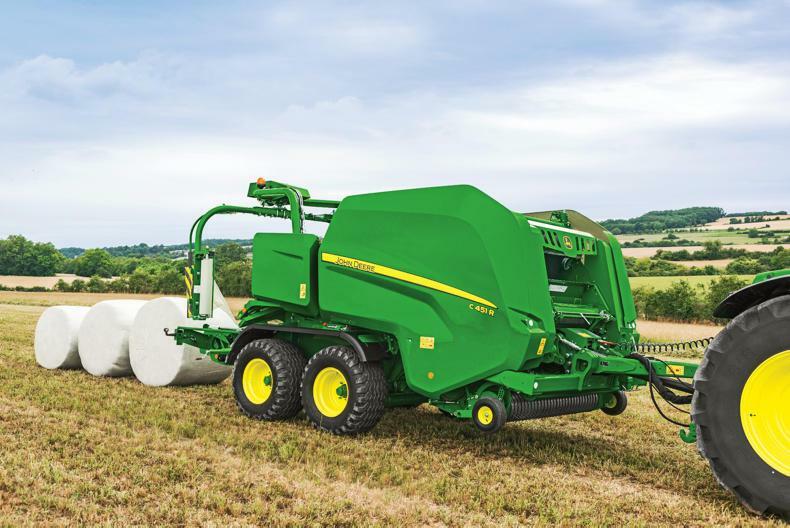 John Deere claims the wrapping unit features a 15% faster wrapping arm working at 40rpm, and an 18% faster table transfer system. 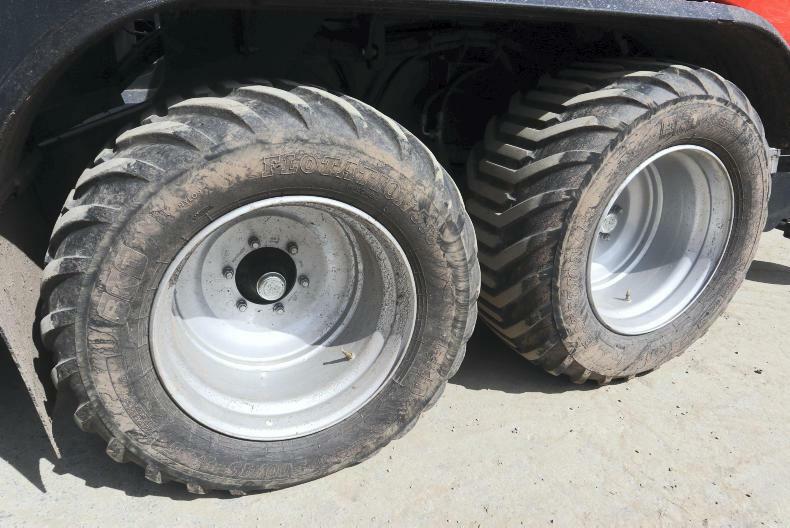 It is available as standard on a single-axle or with an optional tandem-axle chassis. 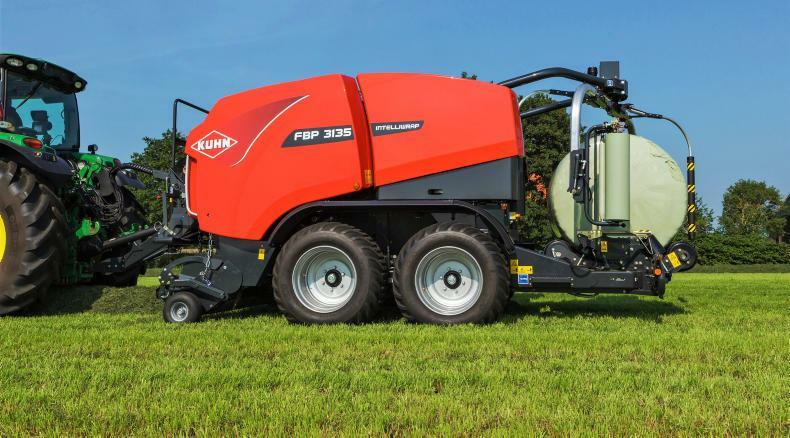 Kuhn has its FBP 3135 combination baler on show alongside the new FB3135 solo baler. 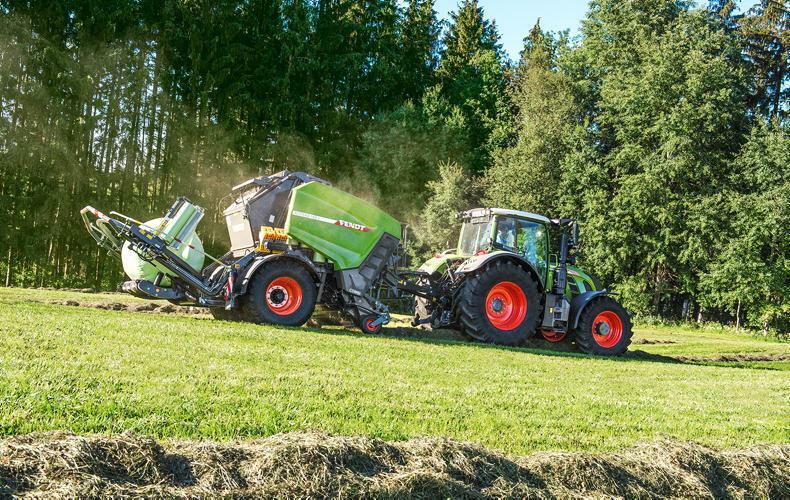 The FBP 3135 is available with two different intake rotors, the Opticut 14 or Opticut 23. 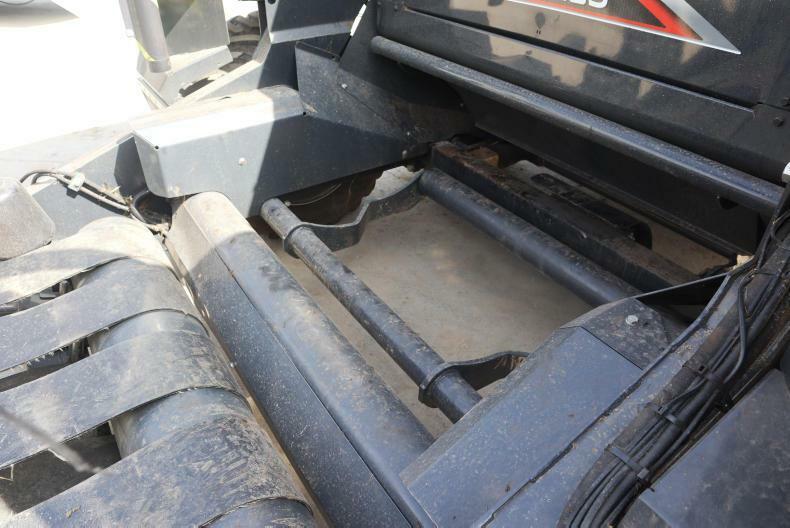 Both feature Hardox tines. Each version shares the same 2.3m pickup. 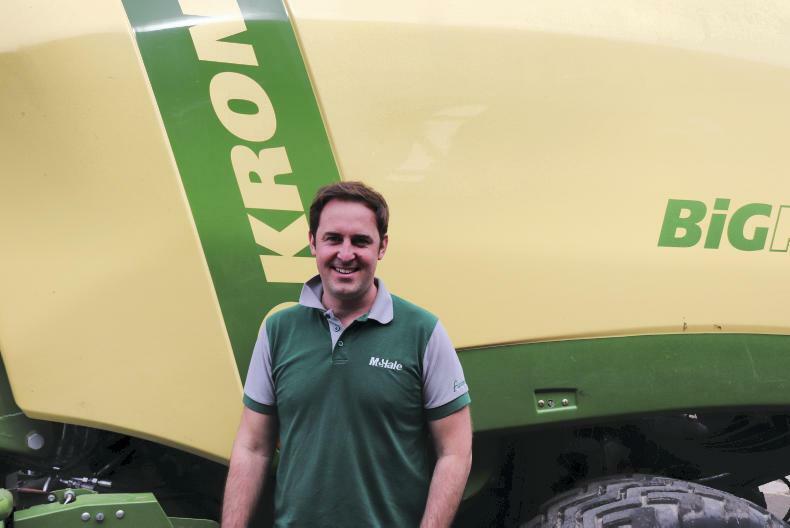 The 18-roller chamber produces bales 1.25m in diameter and 1.22m in width. 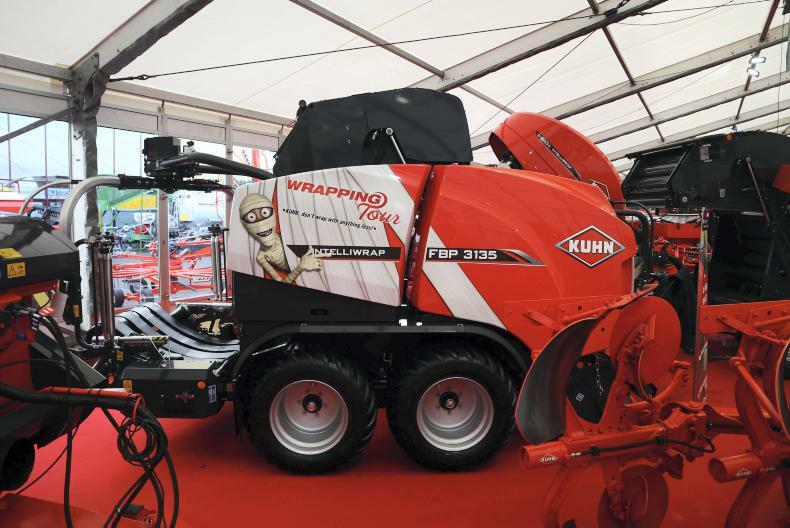 The baler features Kuhn’s IntelliWrap 3D wrapping unit, whereby both wrap dispensers rotate during the wrapping process, allowing for a more even coverage of wrap Kuhn claims. 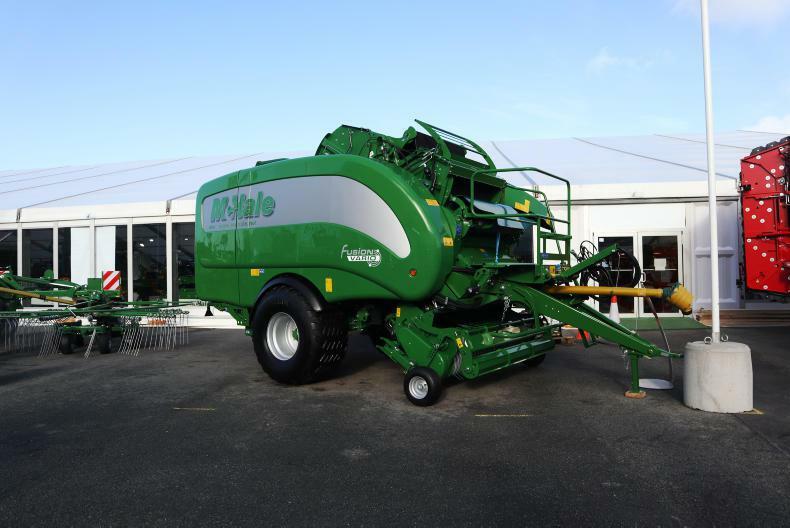 The McHale Fusion 3 Plus integrated baler-wrapper consists of an 18-roller fixed-chamber baler and an integrated vertical wrapping ring. 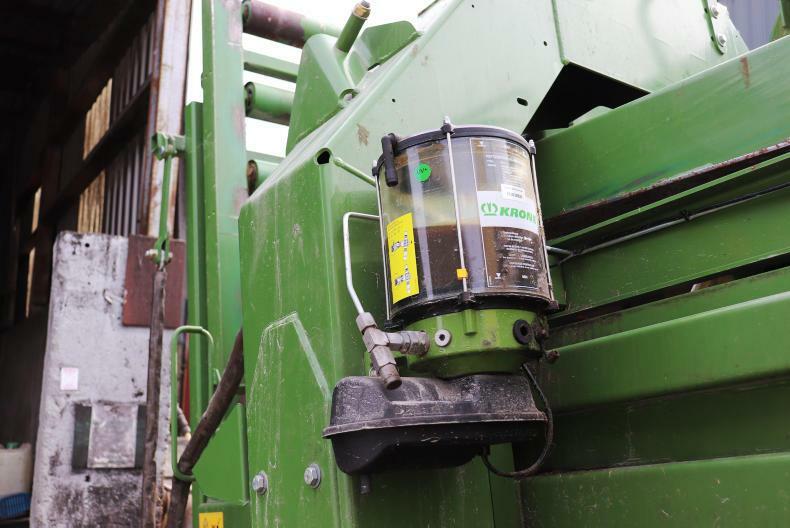 It uses film-on-film technology to apply film to the barrel of the bale in the bale chamber. 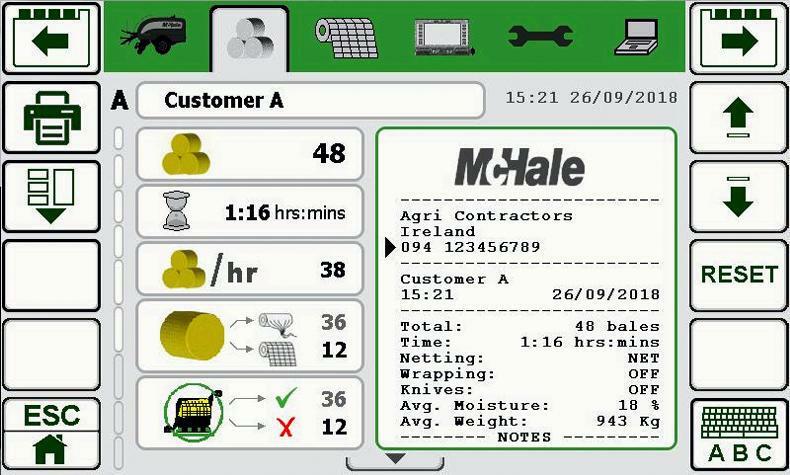 The latest updates include bale moisture sensing whereby the chamber-mounted sensor displays live crop moisture values when the PTO speed is above 400rpm, displayed on screen throughout the baling process. 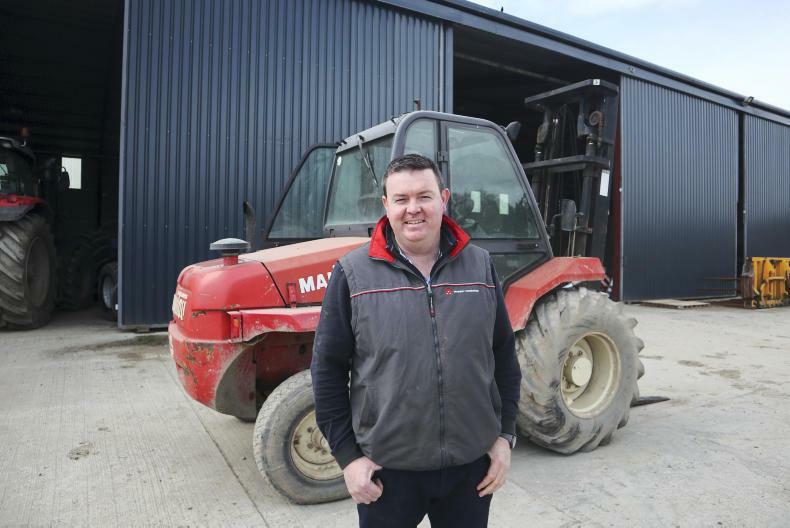 Bale weights can also now be recorded. Both moisture and weight readings can then be accumulated for the particular job giving average weight and average moisture of the bales. The new optional receipt printer allows the operator to print a detailed receipt outlining the work completed for a specific customer. 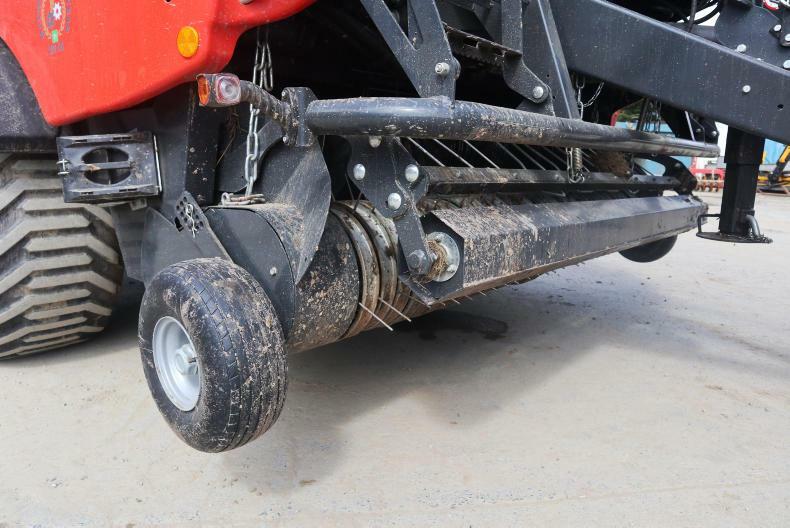 The new offering from Massey includes a camless pickup with five tine bars allowing for high speed intake, followed by two 25cm diameter feeding augers in which Massey claims create the best bale shape possible by directing the crop to the centre of the 18-roller chamber. Xtracut models are available with 13, 17 or 25 knives where the 17 and 25 knive bank versions feature two sets of hydraulically operated knife banks, enabling the operator to choose a single knife-bank, both knife-banks or no knives. Hydroflexcontrol offers a two-stage protection system against blockages, using “automatic mechanical floor cushioning” for minor blockages or hydraulically controlled floor lowering for major obstructions. 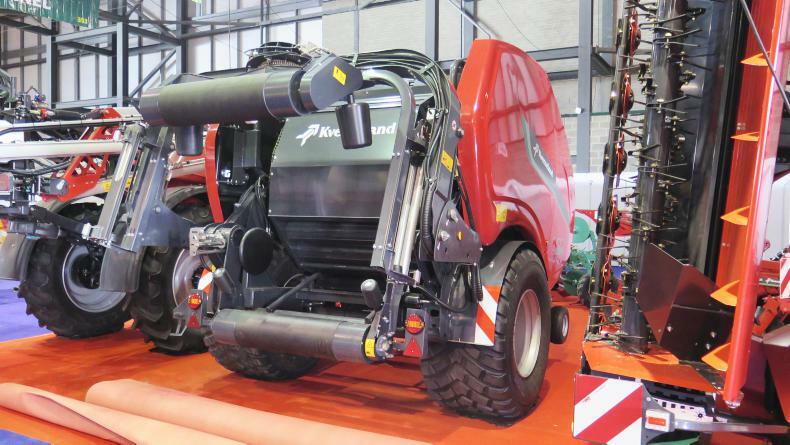 Kverneland has its FastBale on show, a non-stop fixed chamber combination baler originally launched back at Agritechnica in 2015. Operating as a pre-chamber, the first section of FastBale produces two-thirds of the bale. 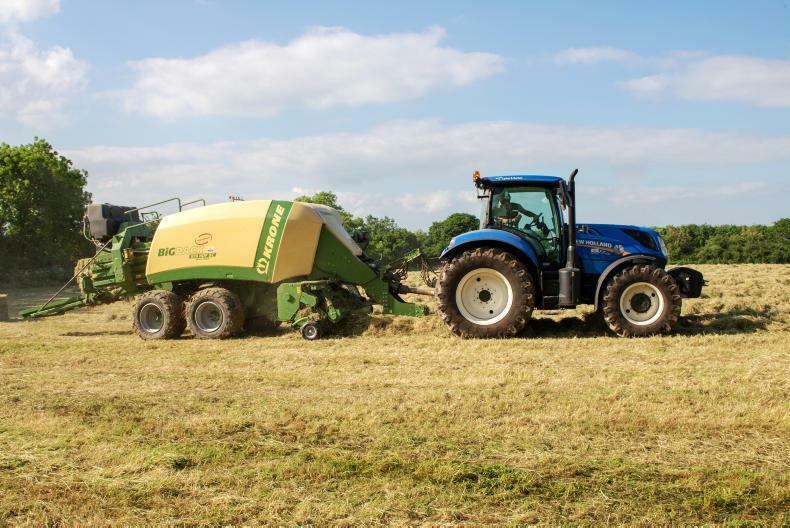 As the pre-chamber reaches its preset density, crop flow is diverted into the main bale chamber allowing baling to continue. 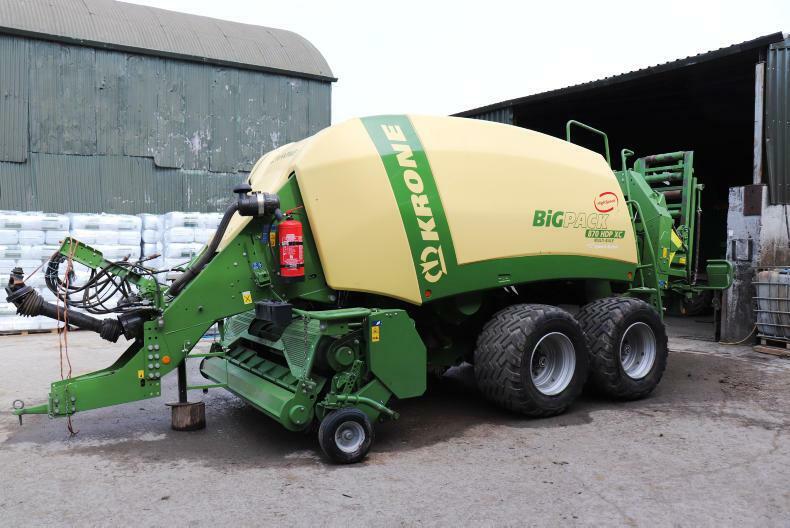 It features an 800mm intake rotor with a 25 knife chopping unit, capable of net or film binding the 1.26 x 1.27 diameter bales. 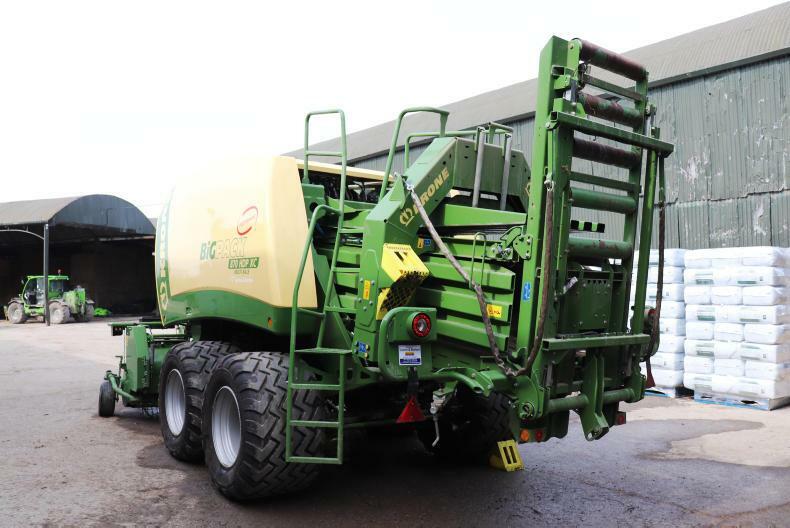 The bale moves on to the wrapping table, twin satellite arms which rotate in a vertical plane, wrapping the bale.